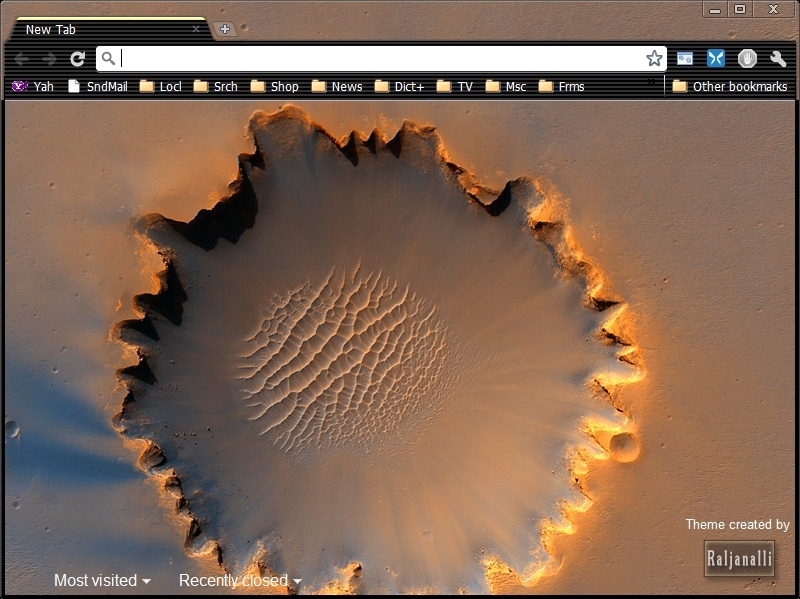 The MarsVictoria OpticWhite MarsCrater1 theme features a high resolution satellite image of Victoria Crater on mars coupled with easy to read high contrast red text on a dark background. It's a beautiful image of the Victoria crater on our neighboring planet, Mars, and the textured sand dunes captured within. Optic themes have a bright header bar on the active tab and a textured toolbar that look good and are great for navigating trough tabs and bookmarks. Their high resolution graphic backgrounds are very easy on the eyes and make a great cover-up for busy desktops.